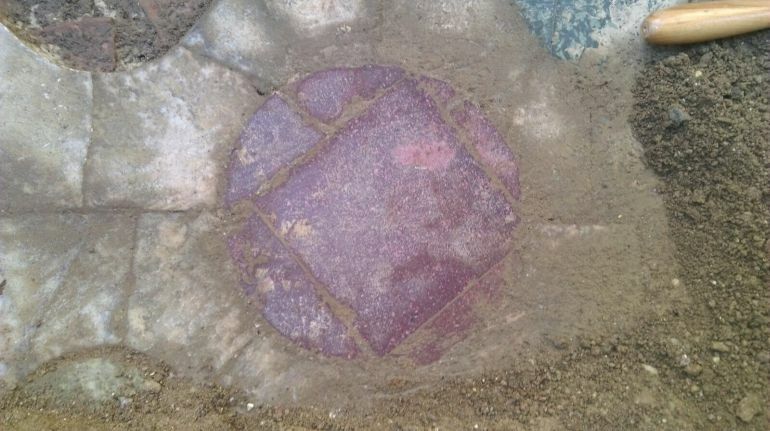 Last year in November, a preventative archaeological survey carried out at an area near the famed Milvian Bridge (before the commencement of utility works) revealed the remains of an ancient Roman structure quite by chance. Back then the partial excavations were temporarily suspended by filling up the trenches, in fear of the rising water levels of the Tiber that could have damaged the archaeological scope. 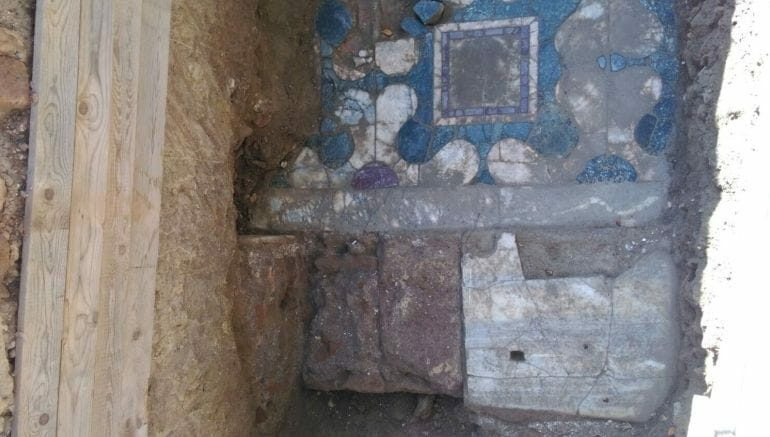 But with the coming of spring in this year, archaeologists once again started their excavation on the site – and they were greeted by the ruins of a ritzy Imperial Roman residence (or a villa) with its fair share of decorative mosaics. The researchers are not sure about the exact extent of the building and its compound that could differentiate between a large villa and a private residence – since they have only been able to partially excavate the site. However, regardless of the size of the structure, this Imperial Roman residence flaunted its highly intricate mosaics that were arranged in the opus sectile style. Pertaining to the latter, the opus sectile entailed the layout of multicolored marble pieces instead of the conventional tesserae tiles. These marbles were arranged in floral motifs complimented by both geometric and figural shapes. 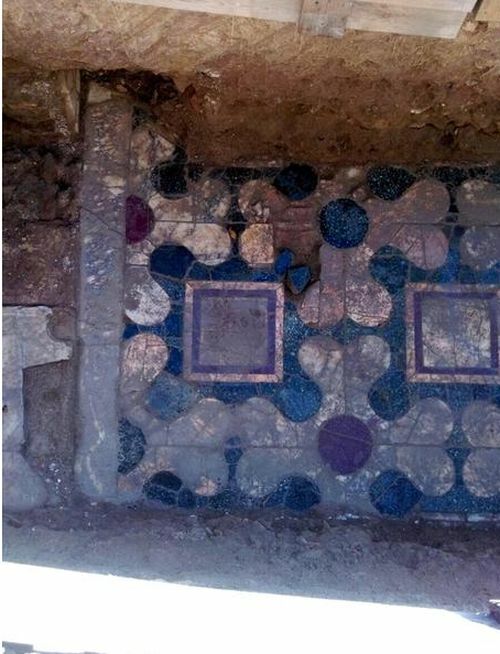 Judging by the opulent nature of the mosaics, the researchers have hypothesized that the rest of the Imperial Roman residence might have also showcased its exquisite decorations. However, they are still perplexed by the location of the dwelling since private villas were generally not constructed so close to the river Tiber. And since we brought up the location, the Milvian Bridge (or Pons Milvius) in itself boasts its historical legacy since the 3rd century BC, when it was constructed by Gaius Claudius Nero (not be confused with Emperor Nero), a Roman general who served in the Second Punic War against the invasion of Hannibal and his Carthaginian army. And arguably, the most famous episode related to the bridge pertains to the momentous Battle of the Milvian Bridge that pitted the two Emperors Constantine and Maxentius against each other. The retreating armies of the latter finally took refuge in the well-fortified city of Rome itself, when the armies of Constantine invaded Italy in 312 AD. And while Maxentius presumably didn’t have the support of the masses, he was backed by the Praetorian Guard who indulged in many of the state-sponsored massacres. In any case, Maxentius resolved to meet his rival’s army north of Tiber along the approach to Rome. Then followed a debatable decision to build a pontoon bridge parallel to the stone-made Milvian Bridge. Now according to some, this new access point was constructed because the pre-existing Milvian Bridge was either damaged or too narrow for a large army to pass. Other ancient sources mention how the pontoon bridge was built as a ‘sinkable’ trap for the approaching army of Constantine. In any case, it was the Praetorian Guards along with their Emperor Maxentius who had to retreat to this bridge (made of boats) after their formations broke from the devastating enemy cavalry charges. And almost alluding to a poetic end to their politically corrupt legacy, the pontoon bridge collapsed under the weight of the soldiers, thus causing many of the guards to drown along with Maxentius himself. Shortly afterward, both the (remnants of) Praetorian Guard and the Imperial Horse Guard (discussed in the last entry) were unceremoniously dissolved under the decree of Constantine.